On the 7th (Thu), contemplate the long history of Agadir Kasbah. Plan a trip to Agadir easily and quickly by telling Inspirock to suggest an itinerary. If you are flying in from Lithuania, the closest major airport is Al Massira Airport. Finish up your sightseeing early on the 8th (Fri) so you can go by car to Taroudant. To see traveler tips, maps, more things to do, and more tourist information, use the Taroudant trip itinerary planner . You can drive from Agadir to Taroudant in 1.5 hours. In February, plan for daily highs up to 24°C, and evening lows to 7°C. Cap off your sightseeing on the 9th (Sat) early enough to travel to Tinerhir. On the 10th (Sun), contemplate in the serene atmosphere at Mosquee ikalalne Afanour and then shake up your sightseeing with a climbing tour. For maps, ratings, other places to visit, and other tourist information, refer to the Tinerhir trip builder website . Do a combination of taxi and flight from Taroudant to Tinerhir in 6.5 hours. Alternatively, you can drive; or do a combination of shuttle, flight, and bus. Wrap up your sightseeing on the 10th (Sun) to allow time to drive to Merzouga. Start off your visit on the 11th (Mon): contemplate the long history of Sijilmassa, then take in the dramatic natural features at Erg Chebbi Dunes, and then take in the exciting artwork at Galerie Laoun. Get ready for a full day of sightseeing on the next day: look for all kinds of wild species at Wildlife Areas. 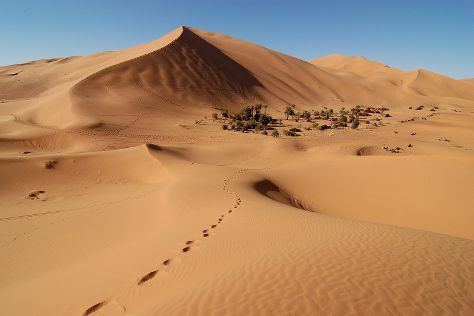 For other places to visit, reviews, traveler tips, and tourist information, read Merzouga travel itinerary planner. You can drive from Tinerhir to Merzouga in 3.5 hours. Wrap up your sightseeing by early afternoon on the 12th (Tue) to allow enough time to drive to Ait Ben Haddou. Seen in numerous Hollywood films and TV shows, the ancient city of Ait Ben Haddou takes visitors on a journey back to the 17th century with its impressive South Moroccan architecture, boasting earthen clay dwellings in walled kasbahs. 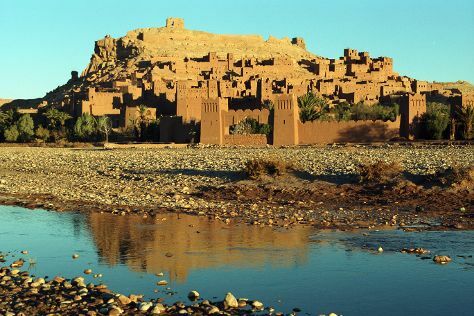 On the 13th (Wed), make a trip to Ksar of Ait-Ben-Haddou and then admire the verdant scenery at Ounila Valley. To find ratings, photos, maps, and more tourist information, use the Ait Ben Haddou planner . Drive from Merzouga to Ait Ben Haddou in 7 hours. Alternatively, you can do a combination of taxi and bus; or do a combination of taxi and bus. February in Ait Ben Haddou sees daily highs of 22°C and lows of 4°C at night. Finish your sightseeing early on the 13th (Wed) to allow enough time to drive to Marrakech. Kick off your visit on the 14th (Thu): admire the landmark architecture of Ben Youssef Madrasa, soothe aching muscles at some of the top local wellness centers, and then head outdoors with Outdoor Activities. Here are some ideas for day two: admire the striking features of Bahia Palace, then stroll the grounds of Saadian Tombs, and then get a dose of the wild on a nature and wildlife tour. 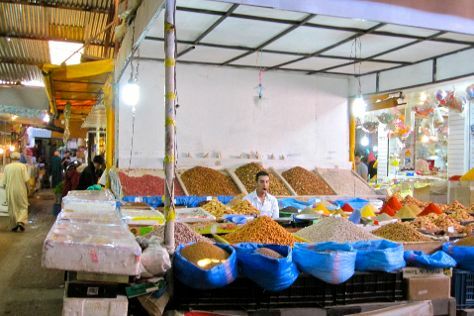 To find other places to visit, traveler tips, where to stay, and tourist information, read Marrakech trip planning tool . You can drive from Ait Ben Haddou to Marrakech in 3.5 hours. Another option is to do a combination of taxi and bus. In February, plan for daily highs up to 23°C, and evening lows to 7°C. Cap off your sightseeing on the 15th (Fri) early enough to go by car to Essaouira. You'll explore the less-touristy side of things at Walking tours and Essaouira Beach. Medina of Essaouira and GALERIE D'ART DAMGAARD are good opportunities to explore the local culture. Next up on the itinerary: ride a horse along Cheval Essaouira, take in the spiritual surroundings of Chaim Pinto Synagogue, trot along with a tour on horseback, and take in the pleasant sights at City Walls. For photos, other places to visit, ratings, and tourist information, go to the Essaouira trip builder . You can drive from Marrakech to Essaouira in 2.5 hours. Another option is to take a bus. Traveling from Marrakech in February, expect somewhat warmer with lows of 11°C in Essaouira. Finish your sightseeing early on the 20th (Wed) so you can drive back home.